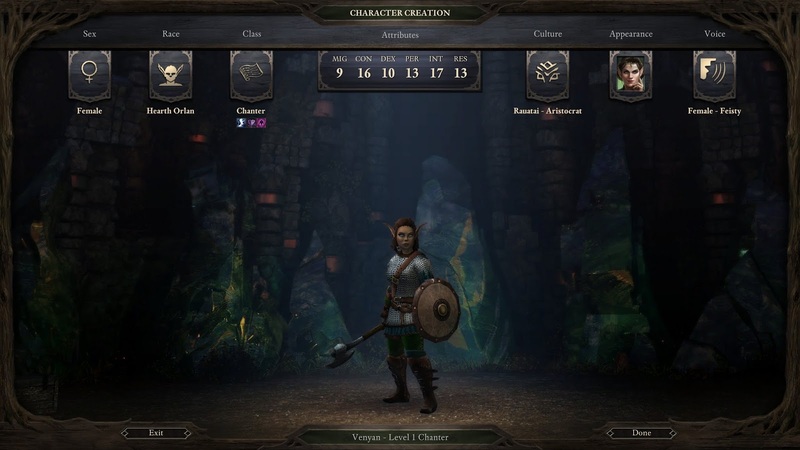 This is a quick check-in on my progress through Pillars of Eternity. I recently completed Act 2, and feel like I’ve gotten a better feel for the overall story and design of the game. Most of my reactions are covered in this fairly spoiler-y album of screenshots, but there are a few additional things that didn’t fit in there very well and so are covered below. They really aren’t afraid of grasping the “Spiritual Successor to Baldur’s Gate” monicker with both hands, and the game is filled with very on-the-nose ties to the classic game, often going beyond mere tributes to straight-up repetition. One of the most obvious is the “You must gather your party before venturing forth” message being written and spoken whenever you try to leave an area while your party is scattered. That’s kind of fun, and also an odd choice, since over the years I’ve heard a lot more complaints than praise for that line. It is one of the most iconic elements of BG, though. The audio nods continue, down to a particularly boisterous drunken laugh that you hear in pubs in both games. It’s a distinctive sound, and not necessarily a pleasant one, but instantly reminds you of similar social experiences from the prior game. The (excellent!) soundtrack is also quite evocative, though not just of the BG games. The Caed Nua theme sounds a lot like the main Hobbit theme from Lord of the Rings. Which isn't a bad thing! I do love that music, and it fits the fantasy setting very well. Most of the monster manual also seems to have been lifted from the earlier game, with monsters haphazardly renamed but recognizably the same. The first creatures you encounter, Xaurips, are a clear replacement for the goblins or kobolds of BG. Vithracks are exactly the same as Ithilids (Mindflayers). Some of the substitutions are just silly, as in Fampyrs replacing Vampires. These seemingly-pointless updates make the remaining races feel stranger and more arbitrary: how come they replaced goblins and vampires, but left ogres the same? That’s all just nitpicking for fun, though. The core game has been great, and I continue to appreciate the modernized engine that retains old tactical challenges while reducing pointless frustrations. The voice acting has been interesting. Most of the "isometric RPG renaissance" games fall into the category of "semi-voiced", but what that means has varied from game to game. 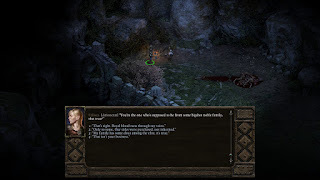 Back in Baldur's Gate 1 and 2, whenever an NPC spoke, you would usually hear an actor speak the first line or two, and then would read the entire dialogue in text. Siege of Dragonspear followed this design, but with a bigger ratio of voiced to non-voiced lines. Wasteland 2 (Director's Cut) was largely voiced, which was nice in parts but felt grating in many places. Pillars of Eternity is a little different: instead of speaking the first part of a chunk of dialogue, each individual "node" is either fully-voiced or not voiced at all. Minor NPCs usually don't get any voice. Major NPCs will usually be voiced for their main critical-path dialogue, but non-voiced for branching and reactive dialogue (which fewer people will see). Unlike most dialogue in Baldur's Gate or Wasteland, dialogue in PoE frequently includes non-verbal descriptions, like "he says angrily" or "she pauses to brush the cobwebs from her face" or "Eder lets out a loud snort". None of those are voiced, even if they're describing non-speech sounds. Uh, I guess that's it for now. No story spoilers in here yet (other than what's in the album), I'll probably hit those in a final write-up after I finish the game. First of all, a little housekeeping: it's been a while since I wrote about Wasteland 2. Unfortunately, I ran into a nasty bug late in the game. I'd gotten in the habit of using the quicksave, and couldn't fix the quest without re-playing many hours of progress, so I kicked it to the curb. I'm cure I'll come back to it eventually, but in the meantime, there's plenty of other games in my queue that deserve my attention. Next up on the list: Pillars of Eternity! 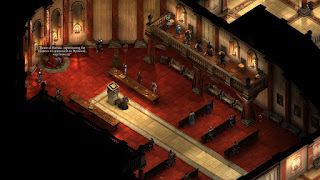 This is the last game I've played from the original trio of the so-called "isometric RPG renaissance", a group of successful Kickstarter campaigns back in 2012 that revived beloved retro properties. Pillars of Eternity was a little unusual: unlike Shadowrun Returns and Wasteland 2, which were both explicit follow-ups to existing franchises, PoE was pitched as a "spiritual successor": an original IP that would carry forward many of the things people liked about its predecessor, while creating an original world and story. That predecessor was the Baldur's Gate series, which I repeatedly cite as my favorite game of all time. Many other people agree, and PoE was (at the time) the best-funded Kickstarter game project to date. I neglected to back it, partly due to Kickstarter fatigue, and also because of franchise fatigue. Honestly, after several decades of absorbing lore about Middle-earth and Midkemia and Britannia and Thedas and Westeros and Randland and Forgotten Realms and Tamriel, the prospect of yet another original fantasy setting fills me with more dread than delight. Not to say that new settings can't be good - Thedas was the last one I really embraced, and it does many interesting things with its fantasy trappings - but each additional new environment needs to be increasingly valuable to prove itself to me. All that said, though, I knew I would eventually check the game out. I've heard good things about it, both through the press and general online chatter, and Obsidian has been responsible for some of my favorite games, so I've had it on my list for quite a while (thanks, as always, to Andrew's generosity). My recent foray into Siege of Dragonspear left me hungry for some more classic isometric fantasy RPG action, and so I've begun! I'm still pretty early into the game. I've just recently reached Level 5, have acquired 4 party followers, and completed several early major quests. I won't talk at all about plot or characters or anything in this post, but I do have a lot of thoughts on the mechanics of the game and its engine that I wanted to put down sooner rather than later. I may revisit these in a follow-up, but otherwise this should free me to exclusively nerd out about story in the future. So, broadly speaking: PoE is terrific. It's made by people who clearly love the old Infinity Engine games, but have also recognized that games have evolved over the past 15 years, and have made the base mechanics of the game a lot more enjoyable. It specifically addresses a bunch of the complaints I have about those games in particular and RPGs in general, in both obvious and in original ways. I shall detail several of these below! This is probably my main bête noire these days. I get really irritated whenever I realize that I'm spending hours of playtime fiddling around inside of menus, scrolling through lists of loot, deciding what to sell and what to keep. The old IE games are particularly annoying, with their double limitations on inventory space and weight. When time comes to sell things, I'm usually out of the shop in well under a minute. Items in your stash are sorted logically, and there are clear markings showing the relative rarity or value of different items. I can blow through those 20 spears in a few seconds, then spend a few more looking at the actually-interesting enchanted sword to decide whether it's worth keeping or not. It's too early to tell yet whether this will grow unwieldy later in the game, particularly after I have more people than will fit in my party and need to compare multiple unique items. 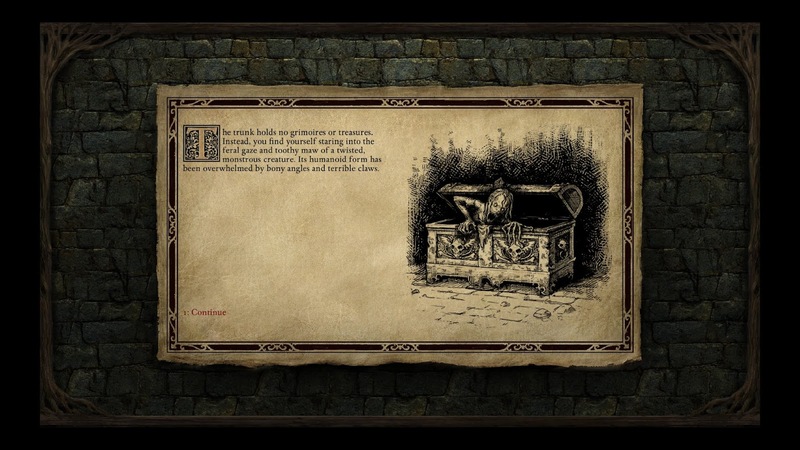 Thus far, though, it's been a great experience, with all the variety of items from Baldur's Gate but without feeling like I'm running a supply chain. The single greatest advantage Dragon Age has over Baldur's Gate is that, when you prepare to cast a fireball, you can see exactly how big its blast zone will be, and who will be caught in it. PoE adopts that visual indicator, and does it one better. Now, AOEs can come in three flavors. "Friendly AOE" only affects allies; "Foe AOE" only affects enemies; and "AOE" affects both. Something like Fireball is a standard AOE, but! It has two separate radii, a bigger one that affects enemies and a smaller one that affects party members. This retains the sense of danger of a fireball - you can't just toss it willy-nilly into the fray where your tank is trying to hold firm - while also making it much more forgiving if someone takes a step in the wrong direction. This is a bit more of a mixed bag for me. I'm a little annoyed that, at level five, I still haven't found a thief/rogue to join my party. But, as I'm learning, that distinction isn't nearly as important in PoE as it is in BG. Oh, sure, you need thief skills, someone to pick locks and find and disarm traps. But anyone can pick up those skills. If, like me, you neglected them while initially leveling up, it's fairly cheap to respec and pick your designated thief. Your companions do have some natural tendencies towards one role or another, based on their pre-allocated stats, but your PC him/herself has much more freedom. Unlike in BG, you don't really need to worry about locking yourself out of certain builds based on stat allocations: you'll just be relatively better or worse at different things. At the same time, the strong class focus makes progression a lot simpler than, say the classless builds of Shadowrun or Neverwinter Night's multiclassing. Once you've developed your PC's overall concept, each individual level-up has fairly straightforward choices to make. The old Baldur's Gate system is much-maligned. Particularly with the OG Infinity Engine, you would end up with ridiculous situations where, say, your party would fight a group of foes, then sleep for 40 hours to recover their health, then sight a second group, then sleep another 40 hours, and so on. It was a weird mixture of too easy and too difficult. There's no real time pressure for anything (at least outside of Ust Natha), so there's no mechanical reason NOT to sleep a ton to re-learn your spells and restore your health. Conceptually, though, it was a bit bizarre. I suspect that the "monsters attack while you sleep" idea was intended to discourage too much resting, but in practice, it made you want to rest more frequently: if you rest while you're just slightly injured, you can easily fend off nighttime ambushes; if you wait until you need to rest, though, then those attacks are much more deadly. Dragon Age and other modern games have significantly streamlined this mechanic, generally by fully refilling your health after each combat. There may be other complications, like Injuries, that still encourage you to protect your health and occasionally return to a home base to recuperate, but fundamentally they're designed to keep you moving along as smoothly as possible. PoE brilliantly restores the concepts behind the original BG resting system, while fundamentally revamping them to be much more enjoyable. It does this in several ways, but the biggest is separating Endurance from Health. You can lose Endurance during a fight without worrying too much about it, but after the fight is done, you should keep an eye on your Health. Once it starts getting low, you need to give serious thought to camping or returning to a safe city to rest. This gives a really nice rhythm to the game: as you get stronger, you can range further afield; but you still want to have a "home base" to return to. This dovetails nicely with supplies. You can only carry a limited amount, although they can easily be replenished in major stores or found during your journey. Each rest consumes a supply, which keeps you from cavalierly resting after every single fight. And, because the supplies limit the number of rests, there's no reason for the threat of monster attacks. Thus, you can keep adventuring until you're running low on health, then confidently spend a Supply to rest. My distaste for D&D-style binary morality systems is well-established at this point. I'm really digging the reputation system in PoE, which is closer to that seen in Fallen London. As you quest, you will gain various reputations, which are orthogonal to one another. I currently am known as "Benevolent", "Diplomatic", "Honest", and "Passionate". I'm not yet sure what impact this has on the game, but so far I'm really digging the complex characterization it supports. You also gain reputations with specific factions, similar to the system in the Fallout games. 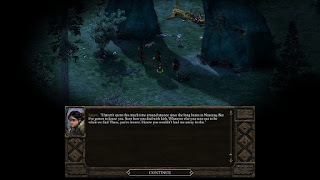 Again, I'm not far enough to see what impact, if any, this has on the game, but I already like it much more than the global reputation system in the Baldur's Gate games. Again, it's too early for me to make a final declaration, but I really like what I've seen so far. Loot that you collect can be sold for a decent (not huge) amount of cash. There are a ton of ways to spend that cash. Unlike most traditional RPGs, this isn't primarily in the form of new equipment: stores do carry some good stuff, but (at least so far) nothing significantly better than what you can find while questing. Inscribe new spells from captured grimoires into your own spellbooks. Enchant items (upgrade existing equipment by adding new abilities). 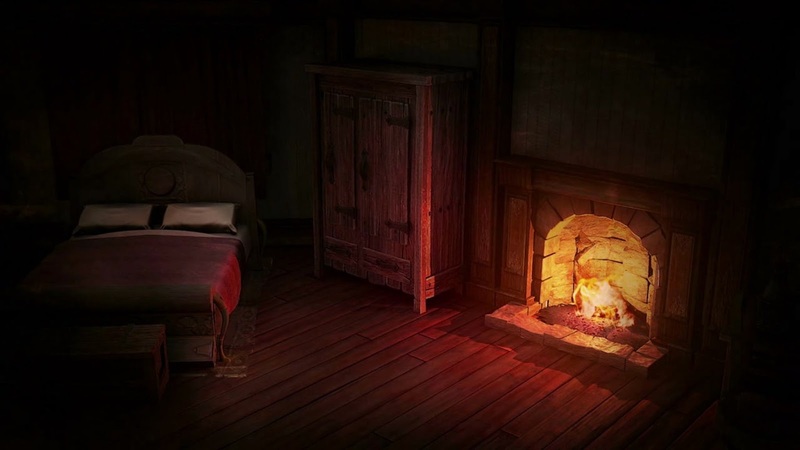 Rest in better rooms (gaining long-lasting buffs). Pay for upgrades and upkeeps of your stronghold. That final bullet is the most interesting to me - I love strongholds, and can already see myself investing a ton into making it better. But, from what I can tell, it looks like the game is designed to give you a lot of choices and support whatever priorities you have. If you only care about questing and fighting, then you can dump your cash into making your weapons and armor as powerful as possible. Anyways - just seeing that there's a big variety of money sinks available makes me optimistic that, even in the late-game, money will continue to be useful. I think it's a good approach, and frankly also easier than fine-tuning a simpler economy that just revolved around purchasing items. You can give players enough money to buy everything in one category, and not enough to buy everything in all categories, and boom! You've set up a system where they can make interesting choices that reflect their interests and those of their character. These are things that I thought were interesting, but the jury is still out on whether they're actual improvements. I am a HUGE fan of banter in general, and companion conversation in specific. Baldur's Gate pioneered this, using an interesting and fairly complex system that was primarily time-driven. After journeying with someone for long enough, and at what would seem like a random moment, a companion would interrupt you and bring up something on their mind. This felt very realistic and surprising and was always very welcome. It was a complicated system, though, that required a lot of work behind the scenes to make sure they didn't interrupt you while in the middle of a fight or start making romantic overtures while you're wading hip-deep in a pool of blood. Dragon Age updated this system so it was location-based rather than time-based. It still seemed random, but on later replays, you would eventually figure out the triggers: walking over the Redcliffe bridge would start a banter, for example. This let the developers keep an element of randomness while also having a more manageable set of variables to keep track of: you're never in combat while crossing the Redcliffe bridge, so it's always safe to chat there. The most important conversations were held back in camp, in a controlled location, and at a time of your choosing. In PoE, when a significant conversation is ready, an icon appears over your party member's portrait. You can then initiate the chat at any time that you like. This is a little less surprising than the BG and DA:O approaches, and I think it suffers slightly as a result; but there are probably a lot more players who would get annoyed at seemingly ill-timed interruptions, and welcome the opportunity to be in control of these conversations. At first I loved it (real-time-with-pause! streamlined! clear! visible dice rolls and logical summations!) By the time I'd reached a four-person party, I was much less enthused (tedious! time-consuming! micromanage-y!). I've since enabled Party AI and am finding it much more enjoyable. In a typical fight, I just control my PC and let everyone else do their thing; that was what I do for the Dragon Age games as well, and is the perfect level of mental involvement on my part. During particularly challenging boss fights, I'll still jump in and manually fire off special abilities for the whole party, but for most fights I can just let it run on auto-pilot. It's not technically optimal, and I probably need to rest slightly more frequently as a result, but it's definitely worth it for the faster playtime. That said, the party AI approach wasn't feasible at all until I recruited my tank (who was the last of the 5 party members to join). There's a pretty rough difficulty curve when you're at low levels and have few friends; for a long time, my party was me (Chanter), a mage, a priest, and another chanter. "Squish City", I called us. 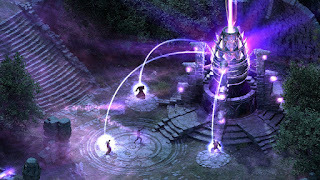 Granted, when you're comparing yourself to Baldur's Gate 1, your difficulty curve is bound to look smooth in comparison. Still, it would have taken only a few small changes to make it even slicker. None of these are deal-breakers, of course, but minor annoyances that stand in contrast to the general improvements of the game. There's a huge variety of damage types (Slashing, Piercing, Freezing, Corrosive, etc. ), as well as a lot of different resistance types (Will, Deflection, etc.). This is very D&D-ish, very evocative of Baldur's Gate, and does support tactical gameplay (evaluating enemies' weaknesses and modifying your tactics appropriately). But it's also very complex and makes it harder to compare the relative worth of different items. While many players will disagree, I personally would have been happier with a simpler system. This continues the theme of the above: do we really need daggers and hatchets and rapiers and stilettos and clubs and flails and maces and war hammers and spears and swords and battle axes and sabers and estocs (?!) and pikes and greatswords and poleaxes and quarterstaves and morning stars? And that's just the melee weapons! Especially since talents are tied to specific weapons. This makes me incredibly reluctant to invest in any weapon abilities, since I have no idea whether it will match the better weapons I'll find much later in the campaign. Again, this makes perfect sense given the pedigree - AD&D 2nd edition had a huge arsenal of weapons, and you could gain skills in any of them. But these days, I'm much more a fan of simplified weapon skills: say, ranged vs. one-handed melee vs. two-handed melee. If you want to have dozens of weapons for flavor and general coolness, go right ahead, but I'll just end up feeling paralyzed by choice. This is something I'm still coming to grips with, but... if you see a skill called "Lore", you'd think that it would make sense for your wizards to focus on it, right? Due to their magical interest and all? Well, you'd be wrong. Lore is used for casting spells from scrolls, and wizards already can cast spells from their grimoire, so lore isn't very useful. You're much better off putting Lore on your beefy, dumb front-line fighters, who ordinarily can't cast spells but can with the right Lore and scrolls. I get the feeling it'll be a similar story for my fabled, yet-to-be-recruited thief. You would think that they would need Stealth and Mechanics; but those can just as easily be put on anyone else, and are arguably better on, say, a wizard who doesn't need Lore. None of this is necessarily bad, more of a manifestation of my pre-existing assumptions being incorrect, but it does go against the flavor a bit and seems counter-intuitive. I think that about sums up my mechanical ramblings. I went ahead and threw together an album of my screenshots thus far, which is a new low record at only 28 images. I'm really enjoying the game so far, and more so since unlocking my stronghold, so I'm sure I'll have more posts in the future. Lucky you!